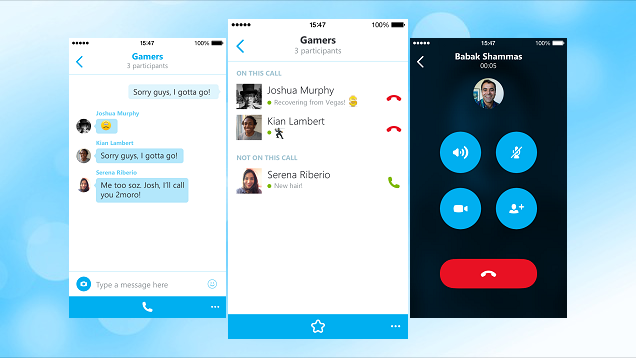 iOS: Skype has updated its iOS app with a new feature. It now allows you to host group audio calls for up to four people with just a tap on your iPhone. Head to an already existing group and just tap the big button on the bottom to host the group call. As the host, you can see any contacts that are in the group but not on the call. You can also selectively take specific people off the call without ending the call in progress. Additionally, If you've already started a call with somebody, you can now add participants with the tap of a button without ending the call. You can get the latest version of Skype for iOS in the App Store as long as you have iOS 7 or later.